Charles E. “Chad” Elder has 20 years of experience in a wide variety of complex business disputes, with an emphasis on antitrust and securities litigation. He has represented companies and individual executives in many high-profile matters, including class actions, government investigations and stockholder derivative claims. 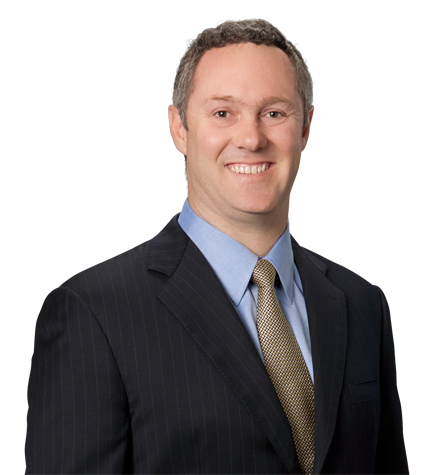 He currently heads Irell & Manella LLP’s Antitrust practice group. In addition to representing clients, Chad has lectured on antitrust and securities litigation topics, has been quoted by a variety of publications, including The New York Times, on noteworthy legal matters and has served as a neutral mediator in complex business litigation. Won a judgment of dismissal in a federal securities class action brought against Tesla Motors and Elon Musk, challenging their statements regarding the safety of the Model S electric car. The court held that Tesla's and Musk's statements about Model S safety were neither false nor misleading. Chad obtained a unanimous affirmance of the dismissal by the U.S. Court of Appeals for the Ninth Circuit. Won a judgment of dismissal in a federal securities class action against Calavo Growers, a food products company, in which the court rejected the plaintiffs' claims that Calavo intentionally applied the wrong accounting treatment to an earnout provision in a merger agreement. The matter was affirmed by the Ninth Circuit. Successfully represented the former chairman and CEO of Countrywide Financial Corporation, Angelo Mozilo, in a number of different matters— including a civil suit brought by the U.S. Securities and Exchange Commission, shareholder class actions and consumer lawsuits—arising from the well-publicized disruption of the mortgage banking industry. Chad was a lead member of the Irell team that successfully obtained the settlement of all claims against Mr. Mozilo in the shareholder class actions without any personal contribution, the outright dismissal of a number of consumer actions and the settlement of the SEC's lawsuit on terms widely lauded by the media as favorable to Mr. Mozilo. Defended the officers of MGM Resorts International in a putative class action alleging securities fraud in connection with the construction of the CityCenter project in Las Vegas. The matter settled on terms highly favorable to our clients. Represented PDC Energy in a class action regarding its management and subsequent acquisition of oil and gas limited partnerships. The case settled on terms favorable to the client. Lead antitrust counsel for Tessera Inc., a global leader in the development and licensing of semiconductor packaging technology, in an antitrust and patent lawsuit it filed against two major memory chip manufacturers, Micron and Infineon. Shortly after Chad defeated their summary judgment motions aimed at the antitrust claims, Micron and Infineon agreed to settle the case by paying a substantial upfront amount plus ongoing royalties. Lead counsel for iSqFt Inc., a provider of construction project data, in an antitrust lawsuit filed by its largest competitor. Representing an internet-related company in connection with a pending investigation by the Antitrust Division of the U.S. Department of Justice. Represented THQ Inc., then one of nation's largest video game companies, in a successful defense of antitrust and commercial bribery claims brought by World Wrestling Entertainment under the Sherman Act and Robinson-Patman Act. Represented the nation's largest record company in an antitrust action brought by independent record labels in the aftermath of "payola" investigations by New York State Attorney General. Represented a leading mineral mining company in an antitrust dispute with railroad carriers. Represented Toho Carbon Fibers in antitrust class actions and government investigations regarding allegations that several manufacturers agreed to fix the price of carbon fiber. Lead counsel for THQ Inc. in a lawsuit in which its joint venture partner, JAKKS Pacific, accused video game publisher THQ of fraud and mismanagement. Chad won the case at trial and on appeal. The trial court found that the testimony of JAKKS’ key expert witness "disintegrated" on Chad’s cross-examination at trial. Lead counsel for Genstar Capital, a private equity firm, in a lawsuit brought by a former stockholder in a Genstar portfolio company regarding that company's failure to hit financial targets for an earnout payment.